Riverside Dental Associates has been a staple in the local dental community for over 45 years. We are proud to showcase our retired partners who have paved the way for our practice being one of the premier practices in our area. They exemplified our continued goal as a conservative, family based practice with an emphasis on prevention and service to the greater community. Being that community service is an important part of our practice, all of our retired partners were and still are active in a variety of community service efforts. Dr. Doolittle was born and grew up in Bemus Point, New York. He received an Associates Degree from Jamestown Community College and received BS and DDS degree from Case Western Reserve University. He served on active duty in the Air Force as a dentist attaining the rank of Captain. He moved to the Southern Tier in 1971 and joined Dr. Mincolla in 1975. Dr. Doolittle retired from practice in 2003. 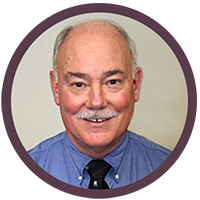 He is a past president of Broome County Dental Society and is a life member of the Dental Society of the State of NY and the American Dental Society. He served as a Clinical Instructor at the SUNY Broome Dental Hygiene Program for 5 years. Dr. Doolittle is married to his wife Susan, has two children and four grandchildren. Dr. Ruffo is a native of Binghamton. He attended Binghamton Central High School and received his BA degree in Biology at SUNY Binghamton (Harpur College) and a DDS degree from New York University College of Dentistry. He entered private practice in September, 1975 with Drs. Mincolla and Doolittle. 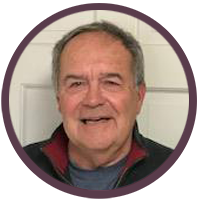 He has served as past President of the Broome County Dental Society and is a Life member of the Dental Society of the State of NY and the American Dental Association. He has served as a Clinical Instructor at the SUNY Broome Dental Hygiene Program. Dr. Ruffo served as a member of the US Army retiring with the rank of LT. Colonel and is a Veteran of the War on Terror/Iraqi Freedom. He retired from private practice after 40 years in 2015. He is married to his wife Sandra and has 5 married children and 14 grandchildren.